Winter is finally over. Summer is here ! Next Thursday, the First day of Summer, is the 100th anniversary of the the oldest continuous sporting event in Iceland, the 5km IR Cross Country Race (Víðavangshlaup ÍR). Despite the name it is not a cross country race, and the weather usually feels a lot more like January than June. But even if it will be a little less than 20 °C , it is still an event to be recommended for everybody staying in Iceland. The First day of Summer is a public holiday here, and the race has long been a big part of the day‘s celebrations in Reykjavik. With extra celebrations planned because of the anniversary, there is no better way to celebrate the start of the summer. Especially so after this very, very… very long winter ! Víðavangshlaup ÍR has a long history. It was started in 1916 with just a handful of runners and for most of its 100-year history only the best runners in the country took part. It wasn’t until after the 70th anniversary that the number of runners crept above 100 but with the running boom the number of participants has risen significantly. 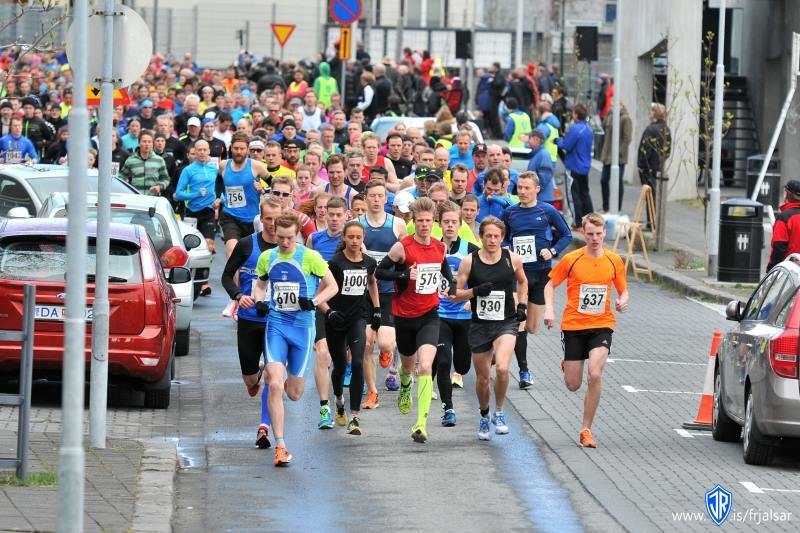 Last year the race had 526 finishers with finishing times ranging from 15 to over 40 minutes and so it is now among the biggest events in the Icelandic running season. This year, the race organizers are expecting the 10.000th participant to cross the finish line, with a special prize for the lucky runner. So by my calculations, 100 races, 10.000 finishers … that’s an average of exactly 100 per race. When the race started it was a cross country race on grass and dirt roads, but Reykjavik has changed a lot since then and the race is now entirely on asphalt roads and paved sidewalks. Historically the race has taken place in the center of Reykjavik which has always been one of the best things about the race. This year there is a new route, and it really looks very promising. Facilities and registration on the day are at the Harpa concert hall with the starting line close by. The route takes us up Hverfisgata and down Laugavegur, Reykjavik’s main shopping street (and the street after which the Laugavegur hiking trail is named). After that the route goes around Tjörnin pond and the race finishes in Lækjargata in front of Arnarholl (where the statue of Ingolfur Arnarson is) right in the heart of Reykjavik. The celebration then continues as participants are invited to post-race refreshments and entertainment. Included in the registration fee is also a trip to Reykjavik’s thermal pools, a perfect way to relax after the race. If you are having a longer stay in Iceland and perhaps chasing medals then you should take note that the IR Cross-Country is also the first race of 5 in the Powerade Summer Series. Children 15 years old and under run free of charge. 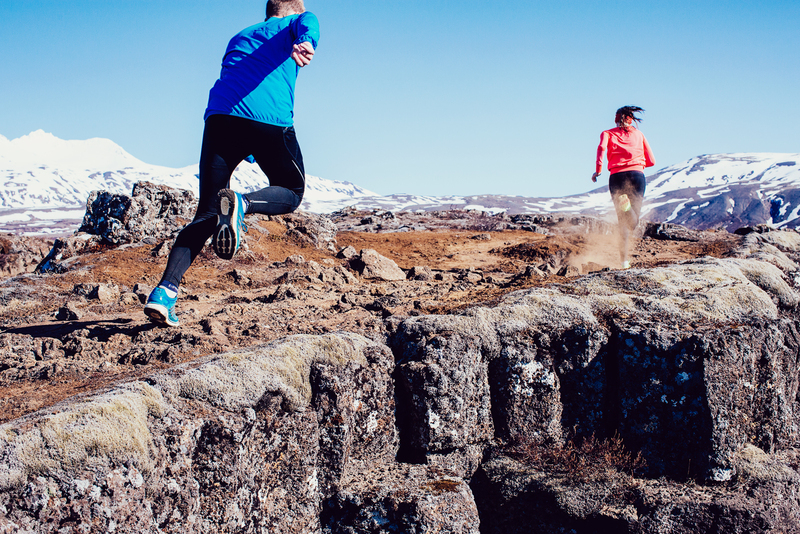 Don’t forget to register at Iceland’s main running page www.hlaup.is. 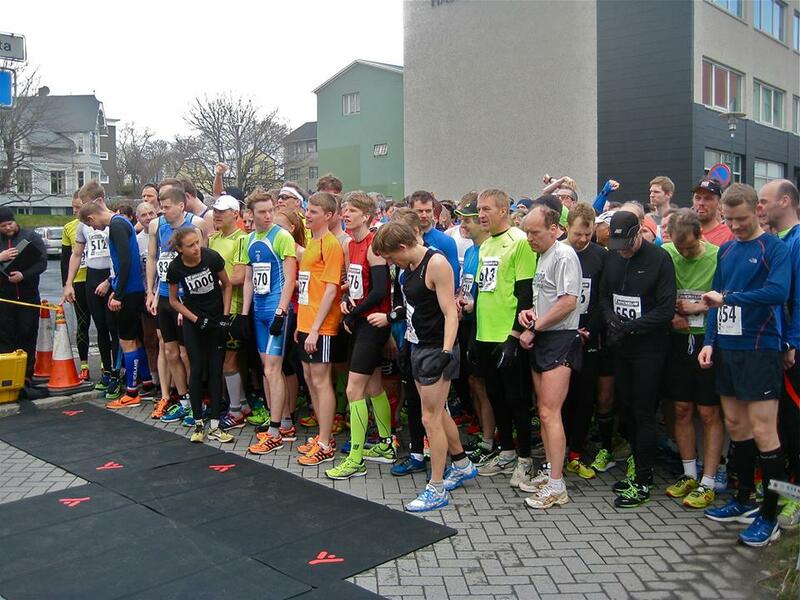 Next Iceland the fastest marathon nation in 2014 ! Can we register on-site on the day of the race? Or must we pre-register online? Thank you!